But with Aroldis Chapman handling the closing duties for the Yankees, Britton will join Dellin Betances and David Robertson as a set-up man. 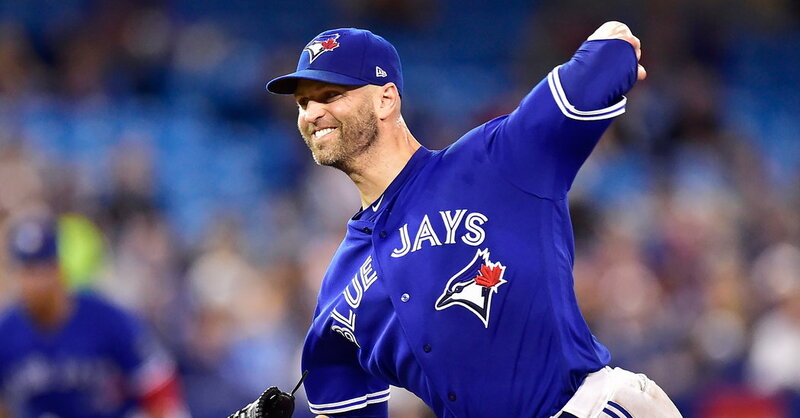 Happ, 35, was 10-3 through his first 16 starts of the season but has struggled in July, going 0-3 with a 7.41 E.R.A., allowing 14 earned runs in 17 innings, including a July 7 start against the Yankees in which he allowed six runs in two and two-thirds innings. The emergence of Miguel Andujar, an American League Rookie of the Year Award candidate with a .294 batting average, 12 home runs and 41 R.B.I., made Drury, who missed 32 games earlier in the season with headaches and blurred vision, expendable. Boone said Happ, who pitched Sunday against the Orioles, would be on schedule to start on Saturday. But he is unlikely to make his Yankee debut that day because that is also the day that Luis Severino, the Yankees’ ace, is next scheduled to start. Boone said Happ would instead start either on Sunday against the Royals or on Tuesday against the Orioles following Monday’s off-day.